Browse the latest new homes by SG Estates nationwide. ​SG Estates is an award-winning developer that has been building homes in Wales since 2004, and Steve Griffin, the company’s managing director has over 30 years of experience in the housebuilding industry. Each of its homes are designed for modern living, and are built for those who want high-quality and individuality. Confident in the quality of its properties, SG Estates invites every purchaser to visit and inspect their new home before it is plastered, and its team will be available to answer any questions. 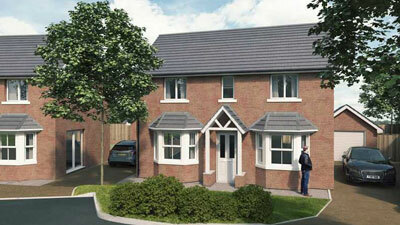 Help to Buy Wales is offered on eligible properties from the housebuilder. This works in the same way as the Help to Buy scheme in England, where the buyer needs to provide a 5% deposit and will receive a 20% equity loan from the government, so they only need to secure a 75% mortgage, but in Wales, the property price limit is £300,000. The company has won many awards over the years from LABC and NHBC, and so far every development it has built has won an award. Choose a SG Estates development in this area.